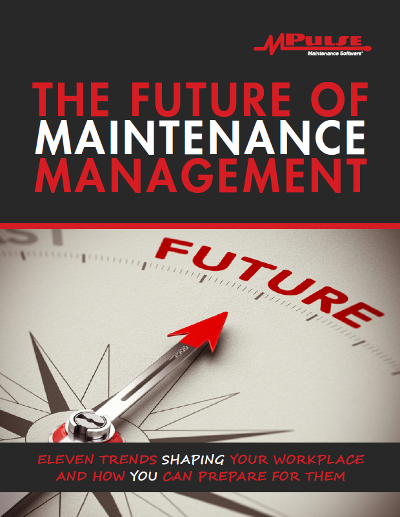 The Future of Maintenance Management, Part 3: Enter the "Digital Native"
A new breed of employees is beginning to enter the workforce, the “digital native” generation. And they’re no longer just joining Silicon Valley startups; they’re coming to a maintenance team near you. Having grown up surrounded by screens and fed by seemingly endless access to information, digital natives have a whole new relationship to technology—and they might just be your new best friends. Older employees can capitalize on the opportunities these younger “resources” present. It’s important to recognize their contributions to the workplace—skills that compliment and expand the maintenance team’s capabilities in a modern organization. What makes these digital natives different? How will they change the way maintenance gets done? And how can you put their skills to use to get better results from your maintenance management program? Because digital natives have spent their entire lives surrounded by everything from computers and videogames to MP3 players and cell phones, these employees have a greater understanding of technology and its capabilities. Their devices are a key part of their personal lives, and this translates to their professional lives as well. As such, these workers will not only embrace new technology in the workplace, they will expect it. While much of the resistance to new technology common in older generations is nonexistent with these team members, it is replaced by expectations that the company will keep its technology up-to-date in order for these workers to do their jobs. While older generations may pick up the phone or schedule an in-person meeting, younger workers may prefer virtual problem solving. From texting to videoconferencing to social networking, digital natives are familiar with and prefer other ways to communicate and collaborate. This preference affects everything from daily tasks to performance reviews. For example, younger workers have grown up with constant feedback, and they may need regular communication from their coworkers and bosses. They also might conduct research differently—eschewing the traditional phone book for a quick Google search, for example. Early technology adoption among younger generations has enabled them to develop skills in multitasking, as they are used to surfing the Web while they talk on a cellphone and watch a program on television. This tendency affects their desire for variety in the workplace, and they may not like to stay too long on any one assignment. Younger generations also prefer flexibility in their work schedules, so they may be more open to working outside of the typical 8-5 workday in exchange for time off to pursue leisure activities. This flexibility can work in your favor, if you are willing to be creative in scheduling work during your equipment and assets’ downtime. As a maintenance management leader, you have a unique position to harness the possibilities that digital natives can bring to your organization. By investing in these new employees, you can bring new methods and ideas to your workplace. Leverage the technological experience and expectations of this new generation of workers to improve your team’s processes, efficiency, and motivation. It can be a win-win situation for your organization and your employees.